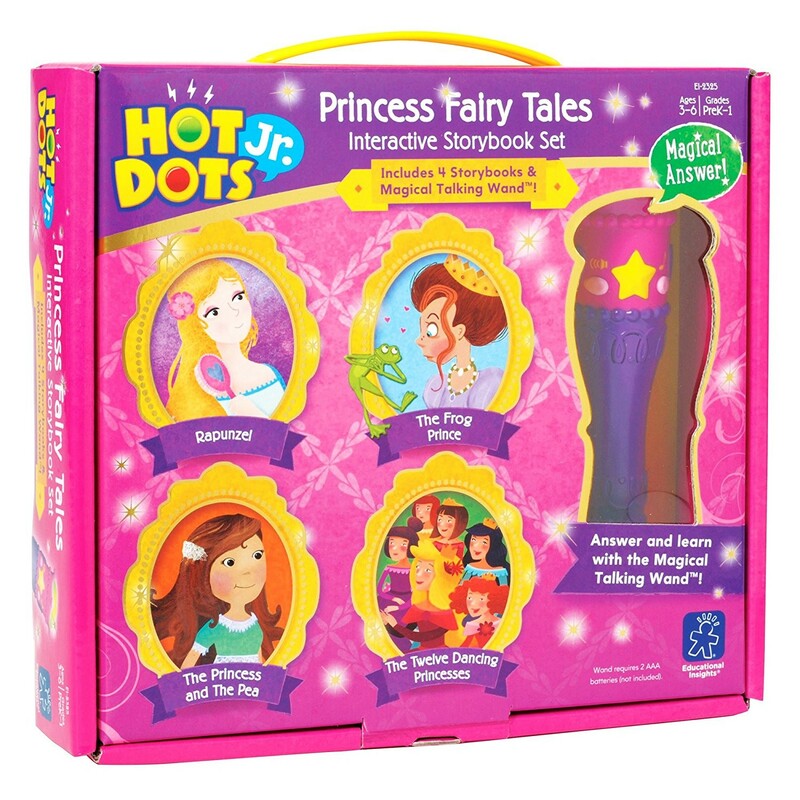 Reading and retelling of the 4 classic princess fairy tales is now interactive learning activity with the Hot Dots Jr. books and talking pen set. 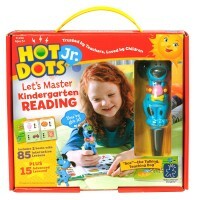 Hot Dots Jr. toy series from Educational Insights presents a special learning set for your little princess! 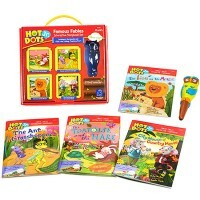 This beginner reading set is perfect for self-paced preschool learners. 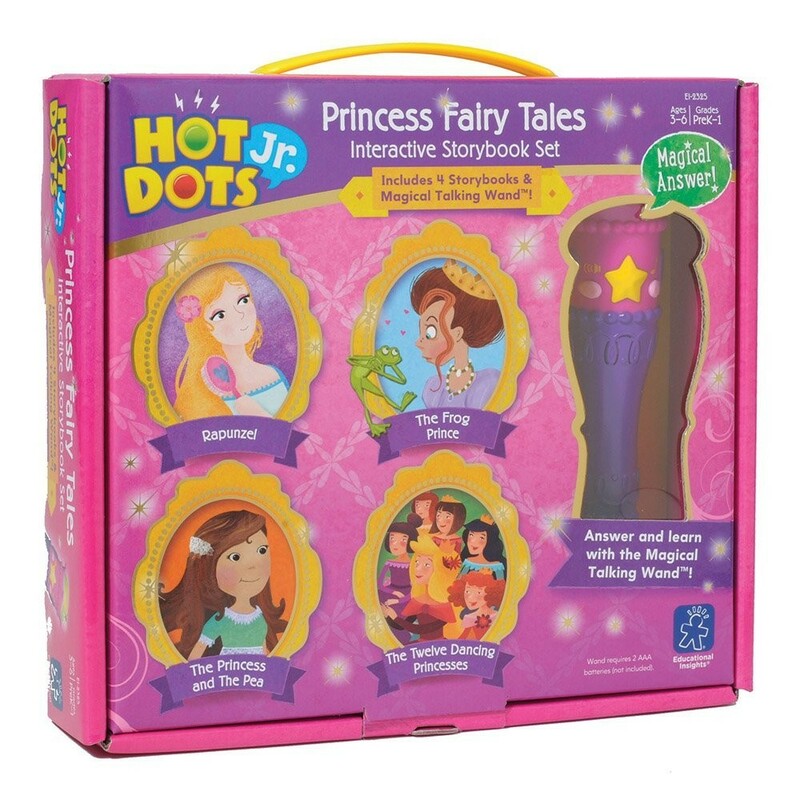 Hot Dots Jr. Princess Fairy Tales 4 Storybooks & Magical Talking Wand Interactive Set features four 24-page popular princess theme story books and kids favorite interactive learning tool - Hot Dots talking pen. 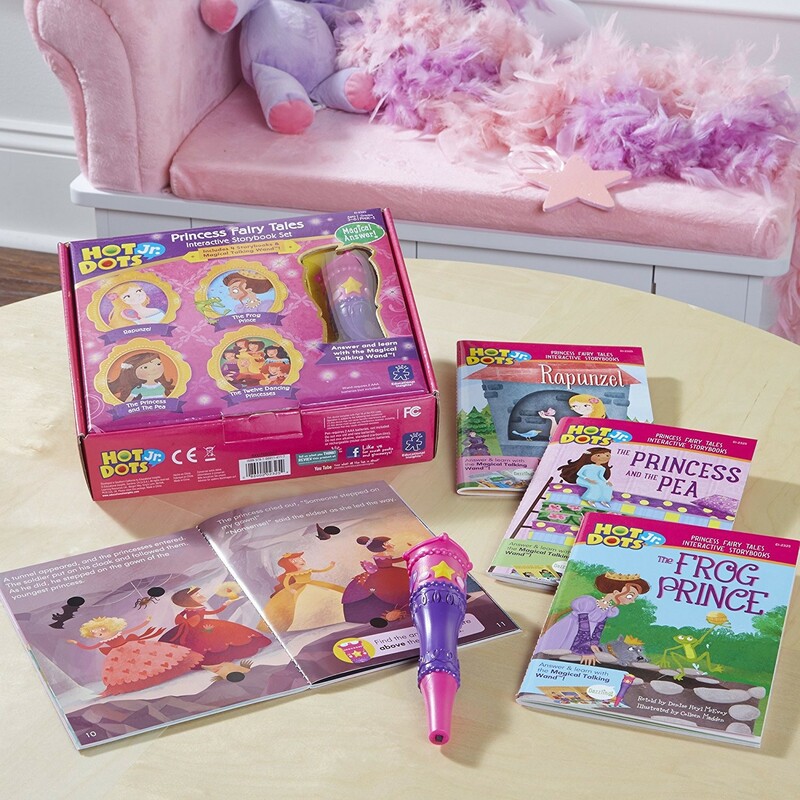 The electronic pen from this kit is shaped as girls' favorite pink & purple magic wand and offers 17 speech and sound effects. 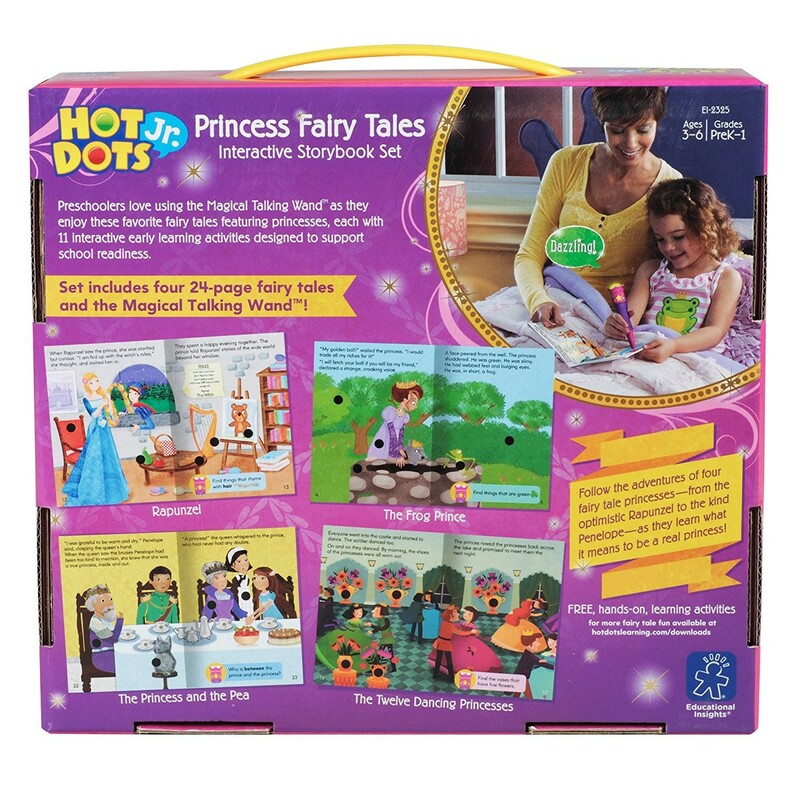 This Hot Dots learning kit features the following classic fairy tales: Rapunzel, The Princess and the Pea, The Frog Prince, and The Twelve Dancing Princesses. 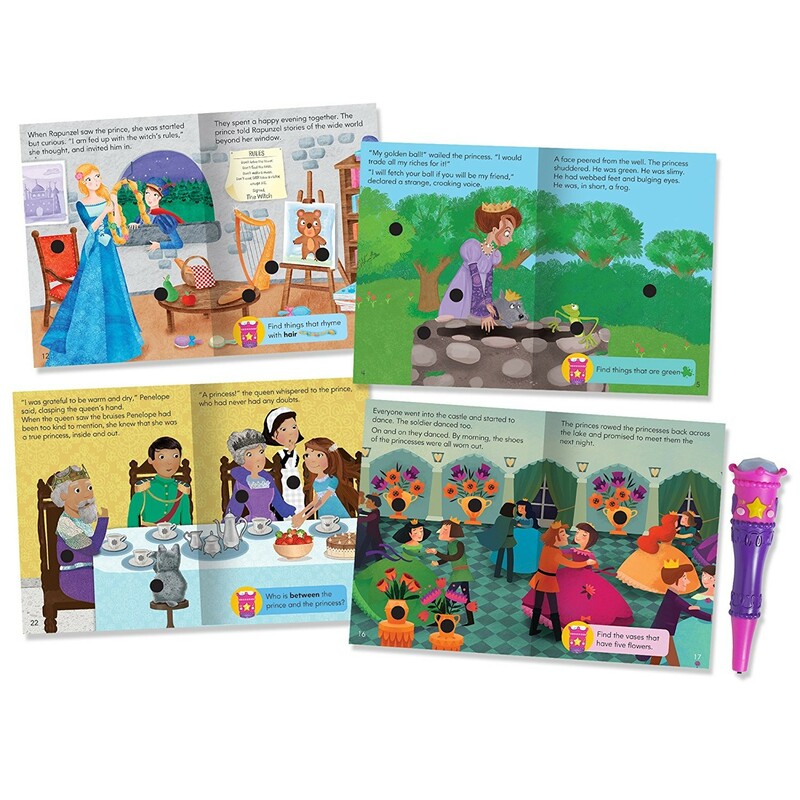 Each storybook is colorfully illustrated and offers 11 playful early reading activities. 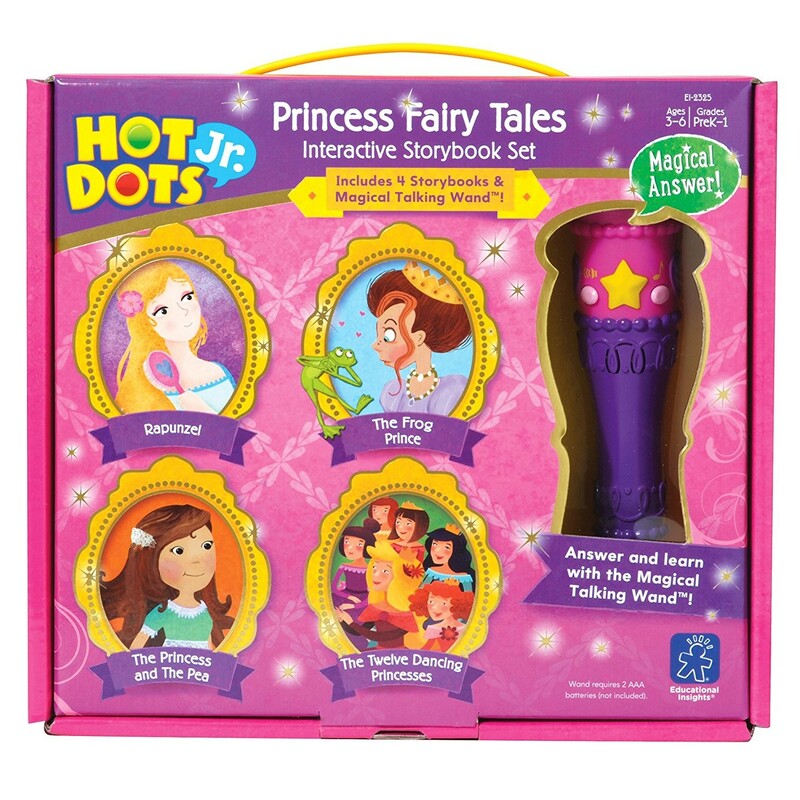 Read a fairy tale, answer the activity questions, press the talking princess wand pen to the answer dot and hear the playful audio response! 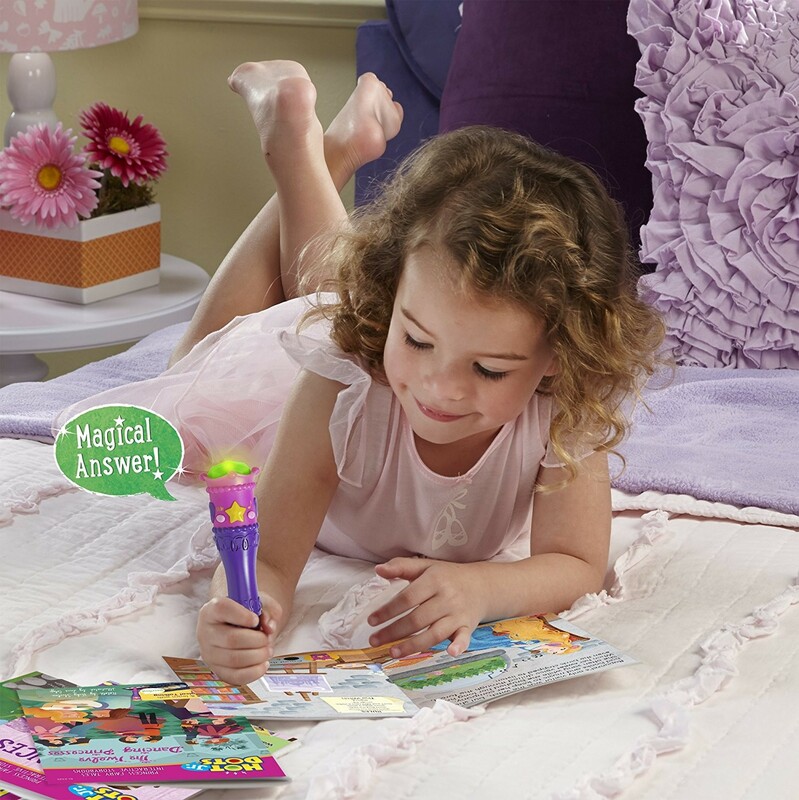 Chunky Magical Talking Wand pen will turn story time into learning time for your child, and help children understand the idea of each story. 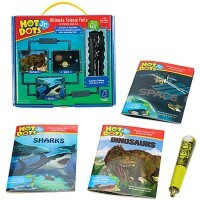 This Educational Toys Planet's activity book kit helps preschool kids develop reading comprehension, memory, and imagination. The teaching pen requires 2 AAA batteries (not included). Dimensions of package 8.2" x 9.2" x 2.2"
Write your own review of Hot Dots Jr. Princess Fairy Tales 4 Storybooks & Magical Talking Wand Interactive Set. Rating: 1 ARRIVED BROKEN by By A customer How do you explain to a 4 yr old that Santa delivered a toy that doesn’t work?!?!?? The pen doesn’t work, and there are no detailed instructions.... after putting in the batteries and opening and closing the battery compartment, double checking direction of batteries, triple checking that I had the right batteries... nothing. 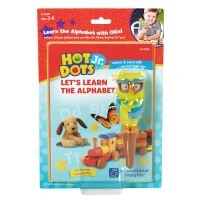 Rating: 1 thinking these would be great for the kids by Sunny, Educational Insights I bought these for my home daycare, thinking these would be great for the kids. However, they don't work very well. They are not loud enough, and the kids pushed them aside after two minutes. Rating: 2 I thought Ollie would read. 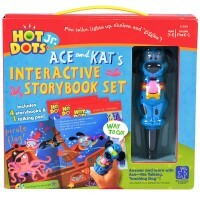 by Sunny, Educational Insights I've been trying to get interactive books for my 2.5 year old, to spark his interest in reading. 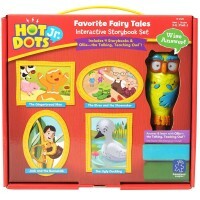 I got this hot dots set because I thought Ollie could read stories out but I was sourly disappointed.Also, another con is that volume is barely audible. And finally, so far Ollie has always mentioned "oh sorryyyy you didn't get the correct answer" or "incorrect answer" even on the correct answers just because it wasn't exactly pointing in the middle of the black for of correct answer. 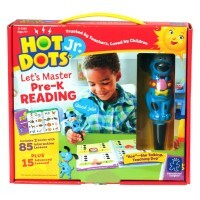 I mean it shouldn't need the black dots. Anyway, didn't really like this purchase since I had something else entirely in mind. 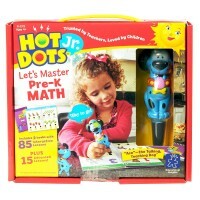 Rating: 5 ... on and just what was needed and the grands love it. by By A customer Spot on and just what was needed and the grands love it. 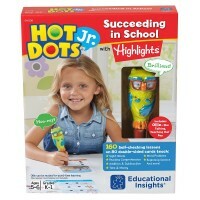 Rating: 2 Two Stars by Sunny, Educational Insights Never worked not even with new batteries.